In May, 2007--the first official Gunflint Green Up transpired on the Gunflint Trail---volunteers came to private properties (including Tuscarora) and planted trees. This week I went and checked on the little guys. The growing season this year was amazing, so that when I went in with a tree expert in July, it was really hard to find the pines among all of the ferns, poplars and wildflowers. They were easy to find in October---and they looked pretty good! In 2009, we'll have another event filled weekend on the Gunflint Trail. My friend the tree guy says that these little ones need tending.....their survival depends upon the sun----there is talk of "releasing the trees," or cutting away all the growth around them so that they have a chance to compete for sunlight. Denali is sitting by one of the 2007 trees planted in the sun---same batch, but already-been-released. This is one happy tree! 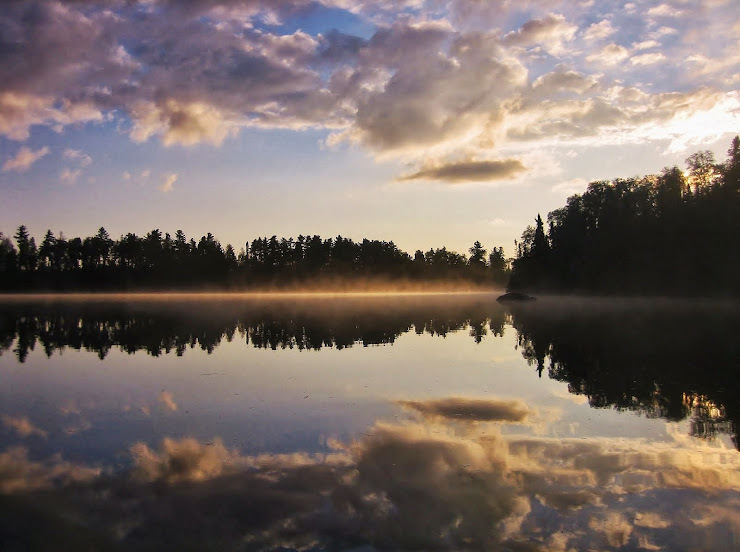 Consider a visit to the Gunflint Trail during the first weekend in May. You can help us release the trees, plant a few more---and you could also join us for the 2nd annual Ham Lake Half Marathon. May 2,3,4, 2009. Don't miss it!! !